Northgate Dentistry (Seattle) - Book Appointment Online! 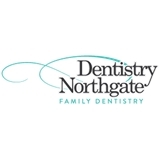 Dentistry Northgate provides affordable dental services from start to finish for your entire family. From simple procedures, such as check-ups, cleanings, or teeth whitening, to dental implants, extractions, root canals, or periodontal disease treatment, Dentistry Northgate is the right place to keep your healthy and beautiful smiles for life. DOCTOR IS ON CALL 24HRS A DAY FOR ANY DENTAL EMERGENCY !